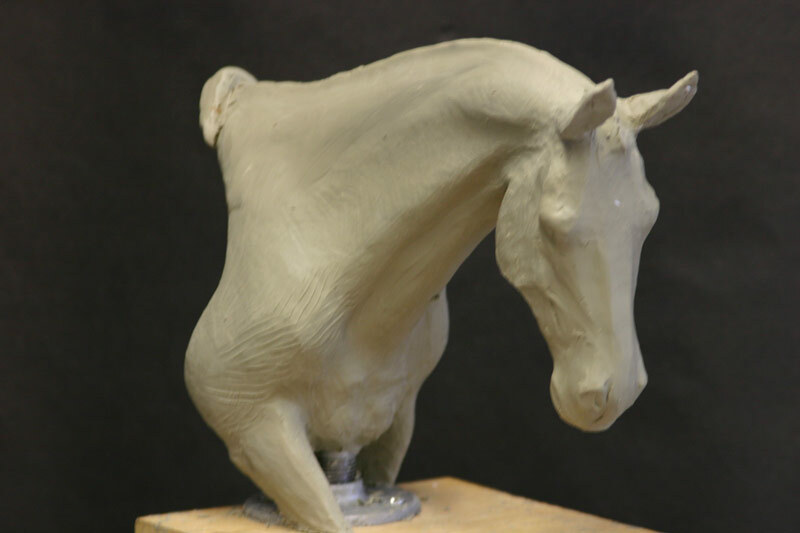 This oil based clay original is a work in progress for casting in bronze. One of the best dressage instructors I ever had described the rider’s hands contact with the horse’s mouth through the reins as “light as a feather since the horse’s head is hanging like a chandelier from his poll”. In layman’s terms this means the rider is in contact with the horse’s mouth for the subtlest of signals, not holding the horse’s head into a flexed position. When complete the rider’s hands and the bridle and reins will be incorporated. Contact me if you are interested in this piece when it is completed in bronze.